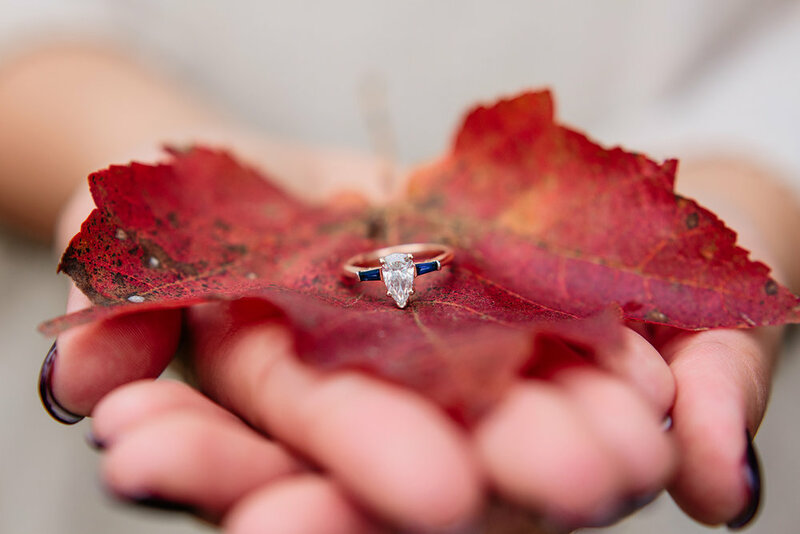 Emily and Brian's engagement session took place last fall in Sailsbury, Vermont. 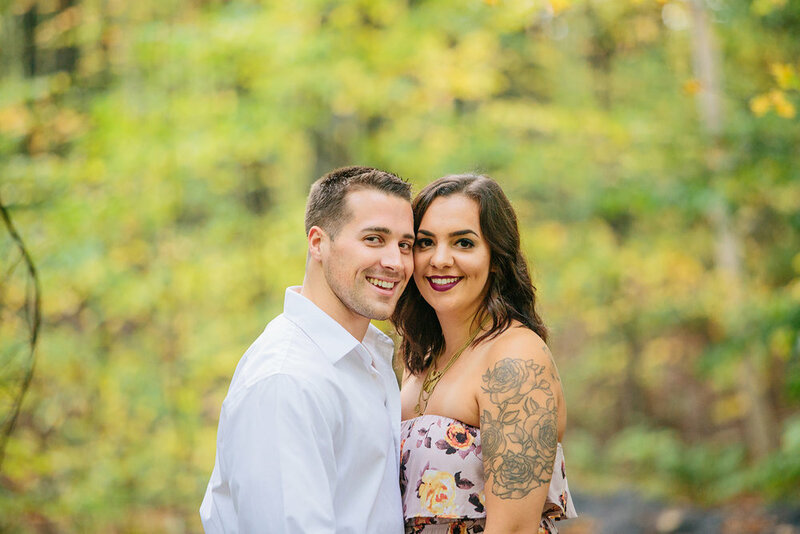 I can't believe I forgot to share their session!! 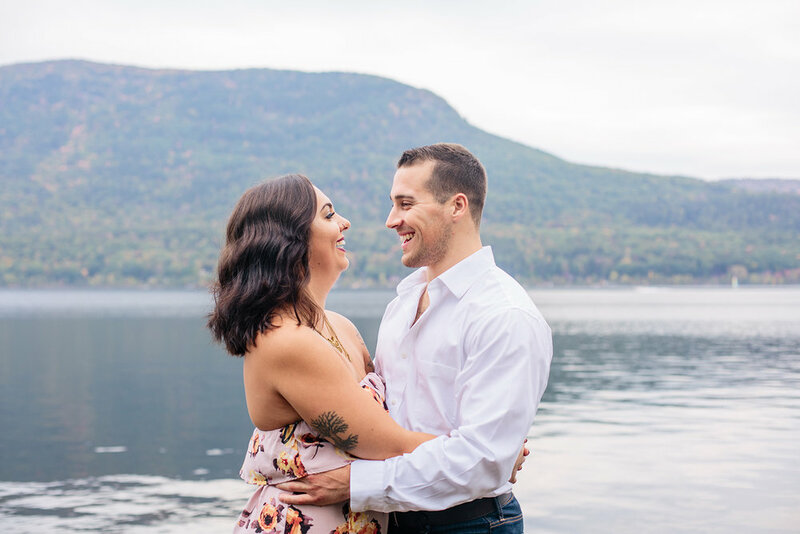 It was one of my favorite engagement sessions to date. 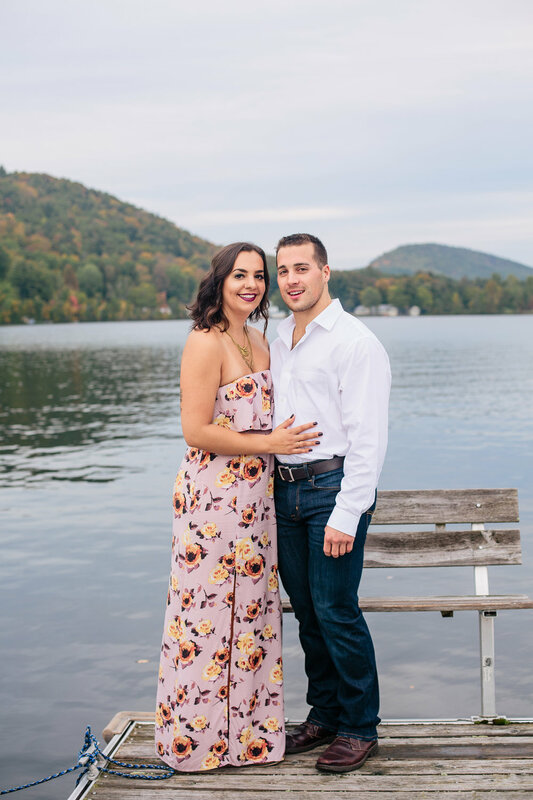 I drove 8 hours (4 hours there and 4 hours home) to travel up to Sailsbury Vermont and visit Lake Dunmore for their photos. I love driving and traveling, and I'm always up for seeing brand new locations for sessions! Traveling allows me to see new sites and visit new people. It's one wish for my business - travel more! 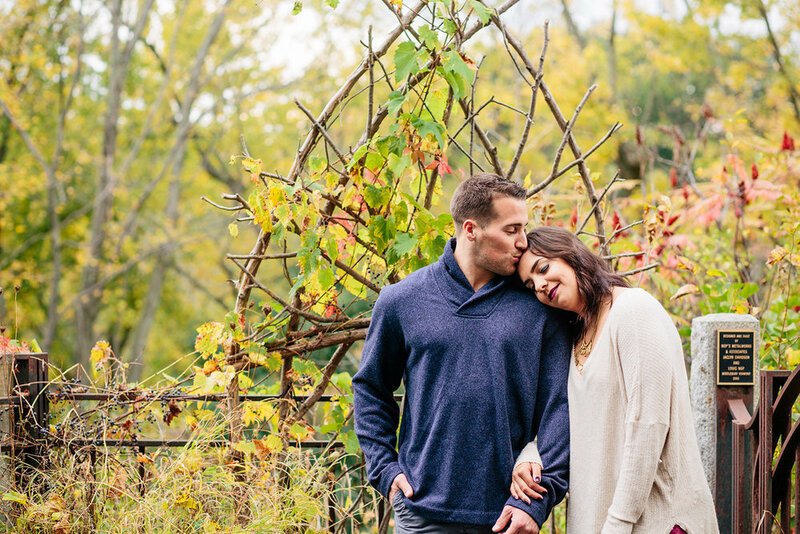 We started Emily and Brian's engagement photo session at the location of Brian's parents soon to be house. They purchased land up there to build on, so we started off taking photos on the street and the land the house will be. How fun is that?! From there, we went into the town of Middlebury, Vermont for some small town photos and then proceeded to Lake Dunmore for the final photos of the evening. 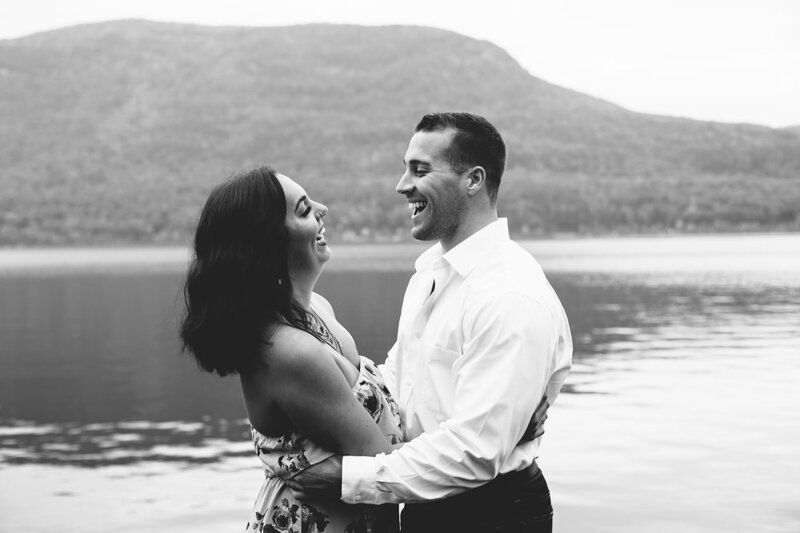 These two were way too much fun, and just adorably in love! Wait until you see these images!